The Dunlopillo® reputation as one of the world’s best known bedding brands has been built over 80 years through the dedicated and quality production of latex and memory foam. 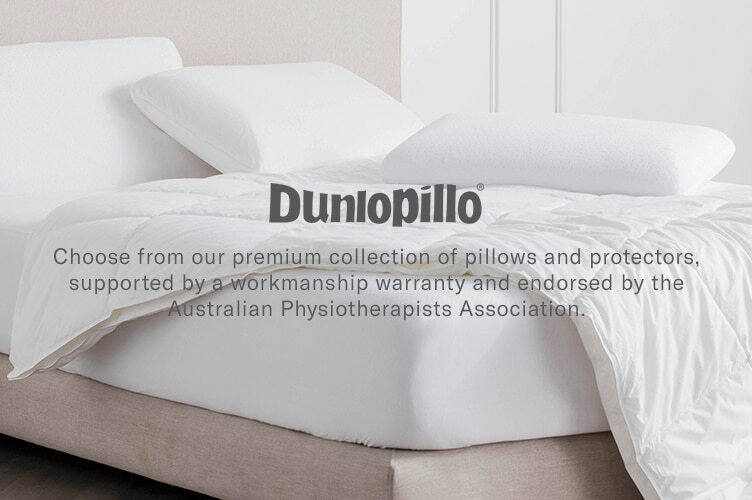 In addition, Dunlopillo® pillows meet all criteria for the Australian Physiotherapy Association (APA) endorsement. As a result, all Dunlopillo® pillow products come highly recommended by the APA and their practitioners. Dunlopillo® Luxurious Latex pillows combine the deep richness of premium Talalay Latex, with a pincore design to provide superior resilience and durability. Talalay Latex will retain its shape and superior rebounding qualities, giving you a longer lasting investment in sleep. 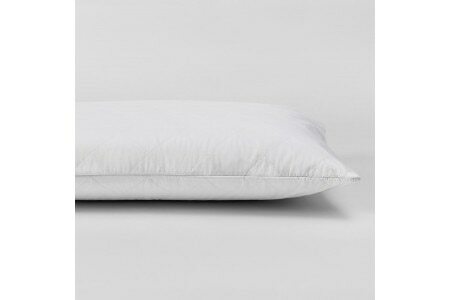 The unique open-cell structure creates a consistent and high-quality pillow and promotes superior ventilation throughout, ensuring your Dunlopillo® always remains fresh. Latex naturally resists bacteria, mould and house dust mites, making it suitable for asthma and allergy sufferers. 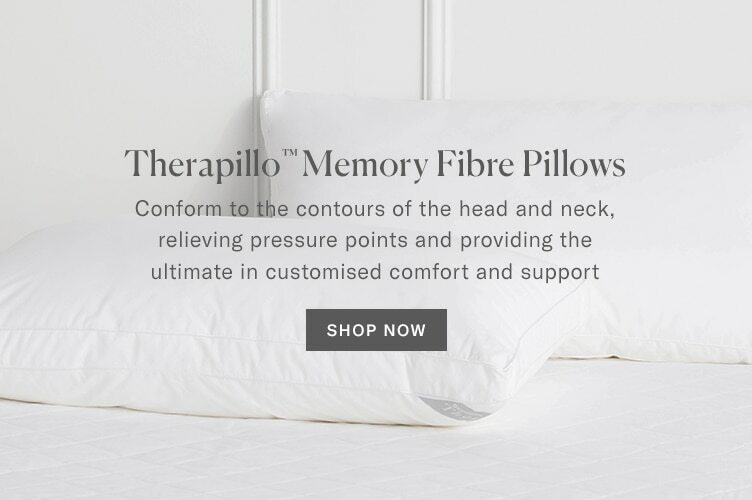 The Dunlopillo Therapillo™ range of memory foam pillows mould to the shape of your head and neck to promote correct spinal alignment, to provide complete support allowing your neck and shoulder muscles to relax for the ultimate in personal support and comfort. Memory foam has superb durability; comfort and long lasting support so you can enjoy a comfortable night’s sleep for many years to come. Established over 80 years ago, Dunlopillo® is one of the world’s best known bedding accessories brands for pillows, pillow protectors and mattress protectors. No matter how you sleep, or what your preference is, Dunlopillo® can cater to your needs.